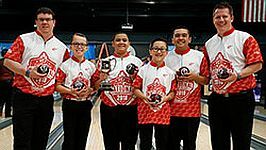 For the second time in its short three-year history, the USA Bowling National Championships presented by Sixlets title in the 12-and-under division returns to Northern California in the hands of the Pacific Southwest regional champions. The U12 championship match at the International Training and Research Center started with a mix of emotions and ended in elation, as two members of Four the Love of Boba hoisted the coveted cup for the second consecutive year, while sharing the experience with two new teammates. Four the Love of Boba (featured photo) topped the Southwest representative, Vegas Incredibowls, 3-1, in the best-of-five modified-Baker match by scores of 180-149, 202-205, 181-177 and 206-161. The title match aired Tuesday night on CBS Sports Network. 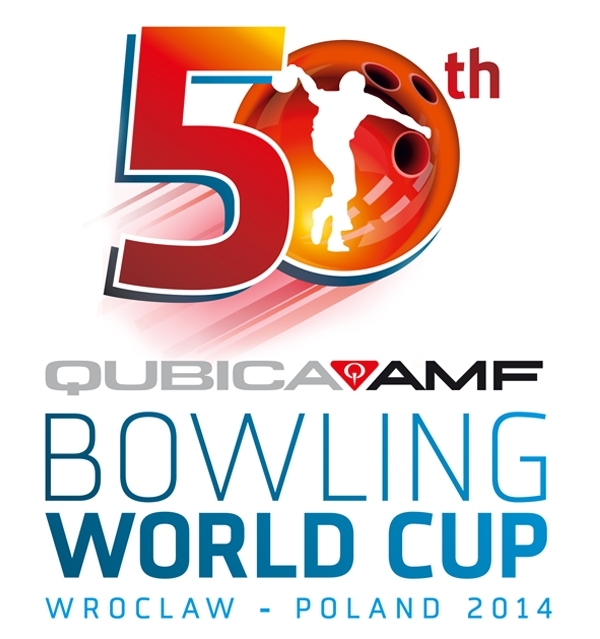 In the unique format, the first two bowlers in the lineup each bowl three frames per game (1-5-9 and 2-6-10, respectively), while the other two team members bowl two frames each (3-7 and 4-8). 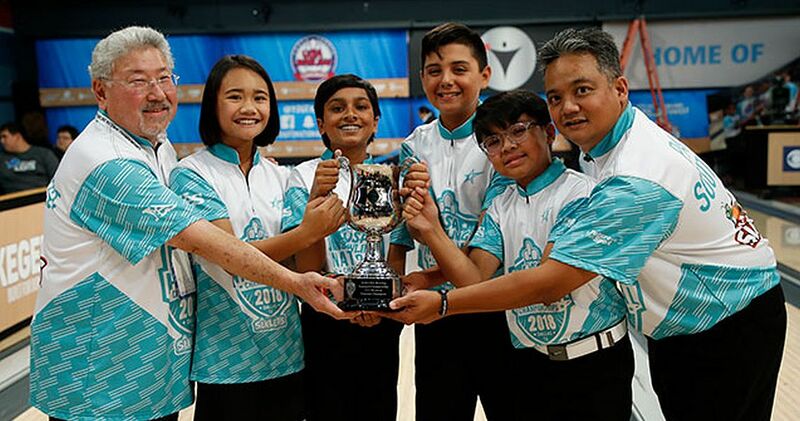 The winning team included a quartet of NorCal Bowling Centers Youth Bowling Association All-Stars – Nihal Mareedu, Diego Jara, Saphyre Nofuente and Ethan Ranario. On the way to the win in 2018, Diego tossed nearly a dozen strikes in the four Baker games on TV. Nihal and Diego were part of the Cloverleaf Strikers team that won the title in the Cleveland area in 2017, and when their other two title-winning teammates (Harley Shene and Joey Irvin) aged out of the U12 division, they found talented replacements within their NorCal All-Stars community. “Because there were two new players on the team, we needed to find a way to have them gel, and we saw it during qualifying when we had an 11-2 record,” said Chris Nofuente, who took over as the team’s coach. 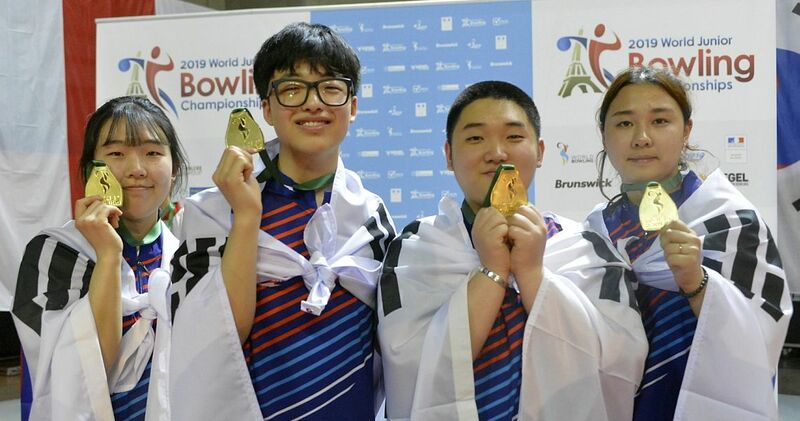 He attributed the group’s success to a balance of individual talent and experience and a natural chemistry on the lanes. While Chris Nofuente did experiment strategically with the team’s lineup throughout qualifying and match play, the cohesion was effortless, and being supportive was his biggest responsibility. “We realized that the TV lights were affecting the way the lanes broke down, so that was something we were able to work into our game plan,” Chris Nofuente said. 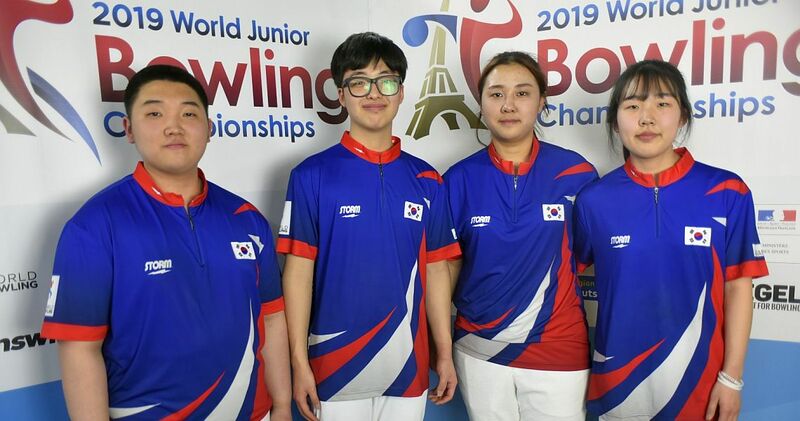 Nofuente’s dual role as parent and coach started earlier in the day at the ITRC as his daughter, Saphyre, and Nihal, competed in the stepladder finals of the U12 division at the 2018 Junior Gold Championships presented by the Brands of Ebonite International. Saphyre lost in the girls semifinal, while Nihal, the top seed on the boys side, fell in the championship match, so mentally rebounding from those losses was important before taking the lanes for the team title defense. The Vegas Incredibowls (pictured) were coached by former Junior Team USA member and Professional Bowlers Association Tour champion Jake Peters (r.) and United States Bowling Congress Open Championships titlist Adam Ishman (l.). Both made sure to express to the team members that, win or lose, they wanted them to focus on having fun and enjoying the whole USA Bowling experience. Peters also was able to offer insight gained from his own experiences under the TV lights. The 2018 USA Bowling National Championships included two divisions – 12-and-under and 15-and-under – each with its own TV show. Both shows were taped July 21 in conjunction with the 2018 Junior Gold Championships and its three TV shows, for broadcast on CBS Sports Network. 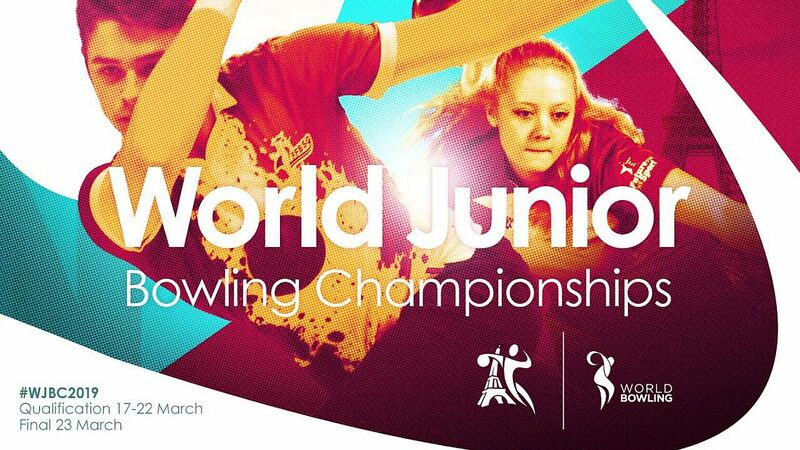 This year’s U15 final of the USA Bowling National Championships will air Aug. 21 at 8 p.m. Eastern. 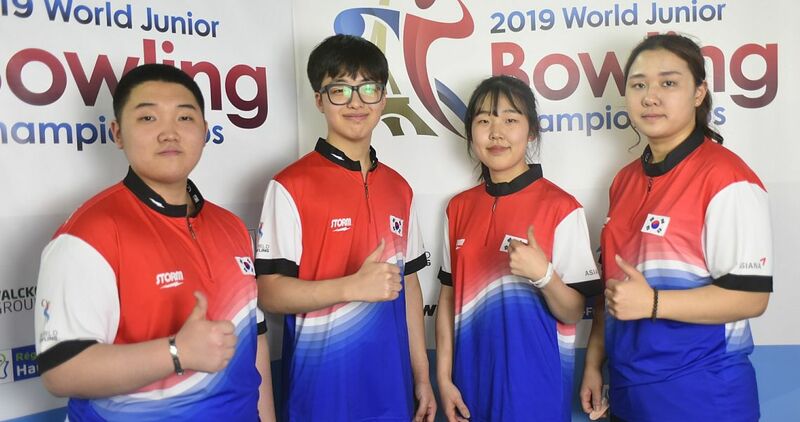 The 2018 USA Bowling National Championships started with 30 teams – 14 in the 12-and-under division and 16 in the 15-and-under division – which bowled 13 and 15 one-game Baker matches, respectively, at AMF Garland Lanes in Garland, Texas, on July 18, with their win-loss records determining the seeding for their respective double-elimination match-play brackets. Ties were broken by total pinfall. Match play took place July 19 at nearby USA Bowl in Dallas and featured best-of-three Baker matches to see who advanced. CBS Sports Network is televising the final of both divisions for the third consecutive year. On the way to the TV show, Four the Love of Boba cruised into match play as the top seed, but a second-round loss quickly sent the quartet to the elimination bracket. The group rallied with five consecutive victories to return to television, sealing the deal by downing an undefeated Northeast team, 2-0 and 2-1. Vegas Incredibowls – Christopher Faro, Sebastian Huffman, Tyler Hedges and Daryus Alo – took a shorter path to the ITRC, starting match play with three wins, before meeting a talented Southeast team in the bracket final. The undefeated Vegas Incredibowls would’ve needed to be beaten twice to be eliminated by the Southeast Pin Crushers, but after falling 2-0, Peters and Ishman rallied their team for a 2-0 victory of their own and a spot on CBS Sports Network. 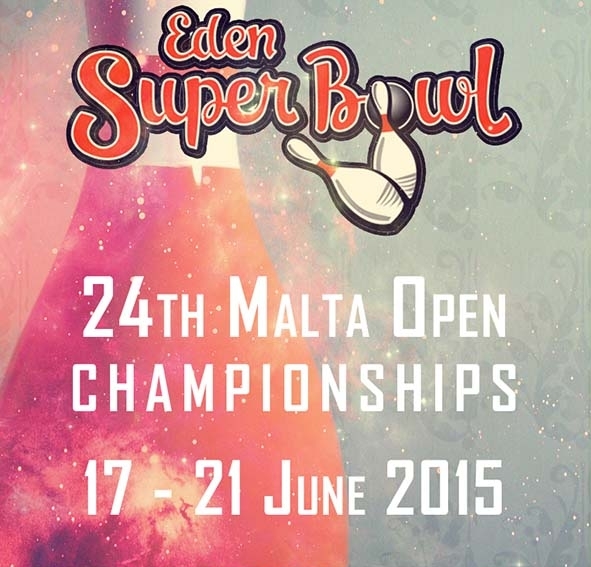 All rounds of qualifying and match play leading up to the televised finals were broadcast on BowlTV. The USA Bowling program was introduced at the regional level in 2013 and grew to include the first USA Bowling National Championships in Indianapolis in 2016. The 30 teams competing in the Dallas area all earned their spots at the national event by winning one of the regional tournaments held across the country throughout the end of 2017 and beginning of 2018. 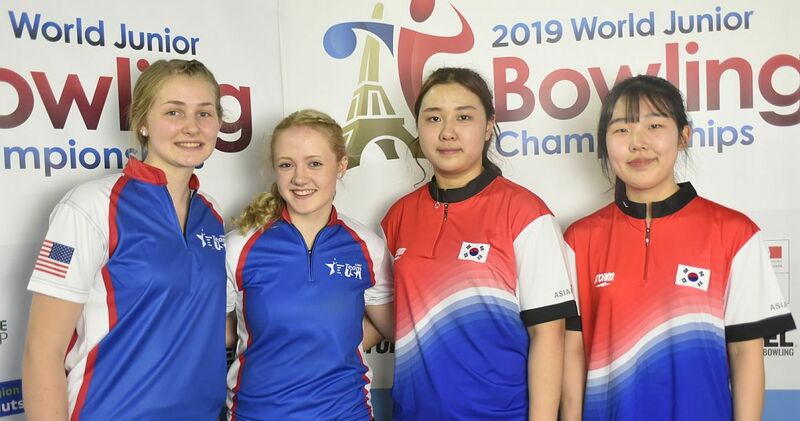 The USA Bowling program was designed as a team-based youth program to introduce competitors to the sport, and it follows the same structure as other youth sports. It places children on a team, provides a coach for each team and conducts regular practices, along with weekly competitions. 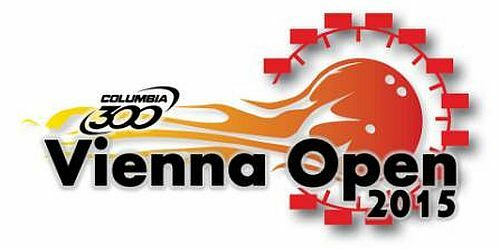 Click here for more information on the USA Bowling National Championships presented by Sixlets.